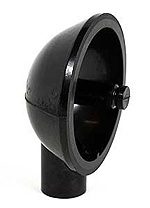 they are available in both mounting variants of 2 and 3 bolt configuration. 12v negative earth or 6v positive earth. 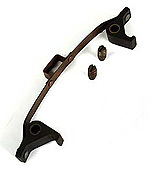 1932-36 Flathead V8 Rotor arm. 1936-41 Flathead V8 Rotor Arm. 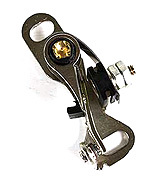 Rotor Arm For use with the Flathead V8 21A-12106 one piece crab style distributor cap. (Does not fit the V8 Pilot, Lucas style distributor). Rotor arm for the 1946-55 Flathead V8 and 1949-60 6 cylinder engine. 1957-59 Rotor Arm for the V8 engine. 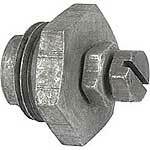 Also fits 1958-60 Edsel Ford V8. 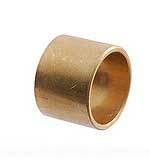 Distributor front bushing for the 1932-41 flathead V8. 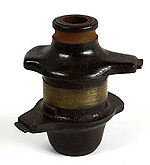 Distributor housing bushing for the 1932-48 flathead V8. 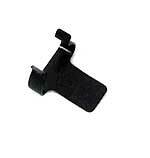 Rotor shaft clip for the 1948-59 V8 distributor. Point Set, Long Arm Style Set for the Flathead V8. 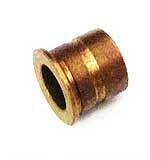 Points Set for the USA Flathead V8 distributor. 4 Piece set. Note: These points do NOT fit the English Lucas distributors. Check first before ordering. Points for the 1949-53 Flathead V8 engines. 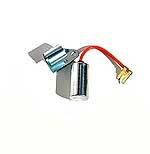 Also fits 1948-64 6 cylinder engines. Points for the 1954-56 Ford V8 engines. 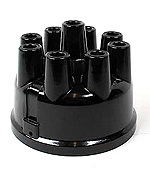 1949-56 Distributor Cap for the Ford & Mercury V8. 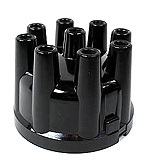 1957-59 Distributor Cap for the Ford & Mercury V8. 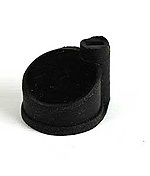 Inner Terminal Cap for the 1932-36 V8. Size 2 3/4" O.D. Inner Terminal Cap for the 1936-41 V8. Size 3 - 1/32" O.D. 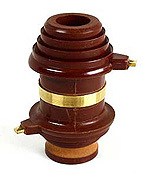 Flathead V8 outer distributor cap in bakelite. Sold Each, Order 2 Per Car. 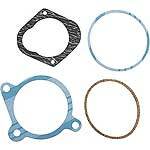 Distributor Gasket Set for the 1932-41 Flathead V8 distributor. Distributor Gasket Set for the 1942-48 Flathead V8 Distributor. 1947-60 Flathead V8 cars and pickups. Flathead V8 Condenser For 3 Screw Coil. Flathead V8 Condenser For Flat Top Coil. 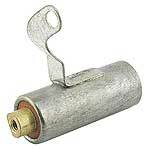 (for use with 18-12024 coil). Flathead V8 Condenser For 2 Screw Coil. Condenser for the 1949-56 V8 (EXEPT DUAL POINTS) and the 1949-59 6 cylinder engine. Also fits 1947-48 when used with the 7HA Coil. 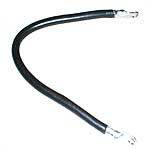 Flathead V8 Condenser - For use With the 81A style Coil. Flathead V8 Condenser for the 1942-48 V8 with the 1GA-12024-RB Coil, also fits the 1941-47 6 cylinder G engine. Works on the 1942-48 Flathead V8. 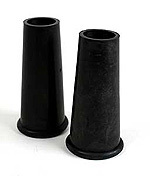 Flathead V8 rubber condenser Boot. 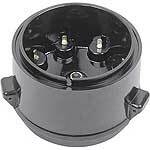 Rubber Boots For the Flathead V8 Distributor cap, Set of 2. 1932-41 Ford Distributor Cap Bail Clip 18-12144. You will require 2 of these. Distributor Cap Bail Clips for the 1941-1942 distributor. Distributor Cap Bail Clip for the 1945-48 two part Distributor cap.